Under Construction. 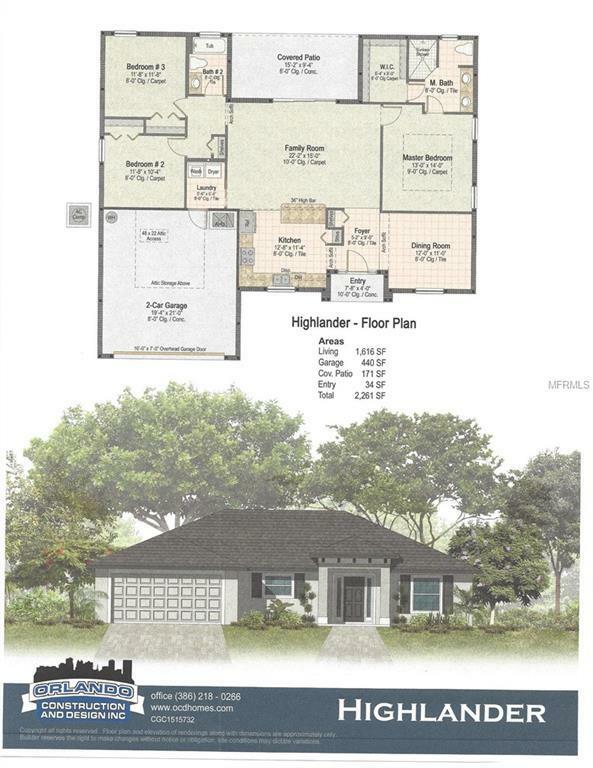 "New Construction" Highlander Model 3/2/2 . Custom built by Orlando Construction and Design. Home features porcelain tile through out the main areas. Custom white shaker cabinets with quartz counter tops and crown molding. Stainless Steel appliance package, Designer lighting package, Low E Vinyl windows, 16 seer Trane A/C with programmable thermostat, Attic storage with pull down ladder, pre wire for security system, and Crown molding in main living area. Many more upgrades included in this home, must see to appreciate all the details. Listing provided courtesy of Design Real Estate Services.